The Oakridge Racquet Club (ORC) is part of the Oakridge Community Association (OCA). It is operated by the Association with direction from an ORC committee. 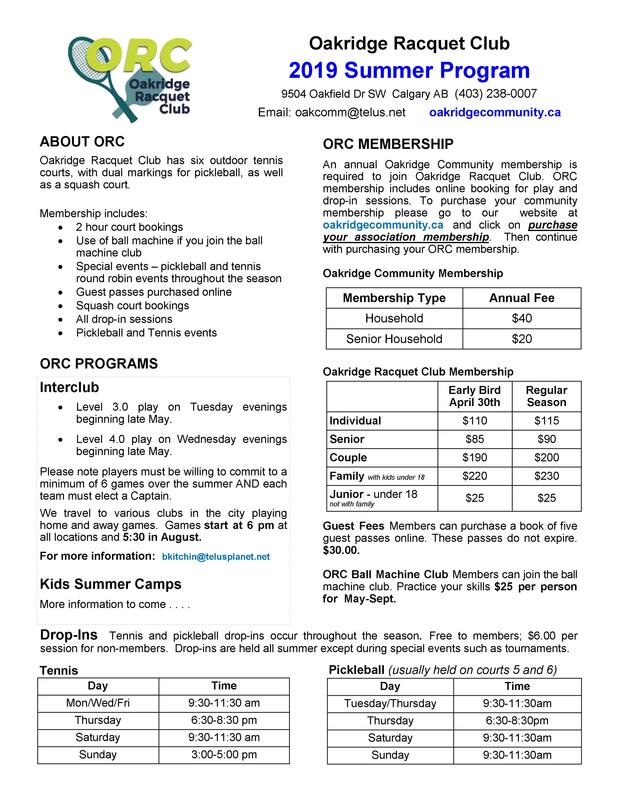 To participate in ORC events, both an Oakridge Community and Oakridge Racquet membership are required. Through ORC, the Community Association offers outdoor pickleball and tennis programs as well as indoor squash. The Club has an online court booking system and a Tennis Ball Machine. 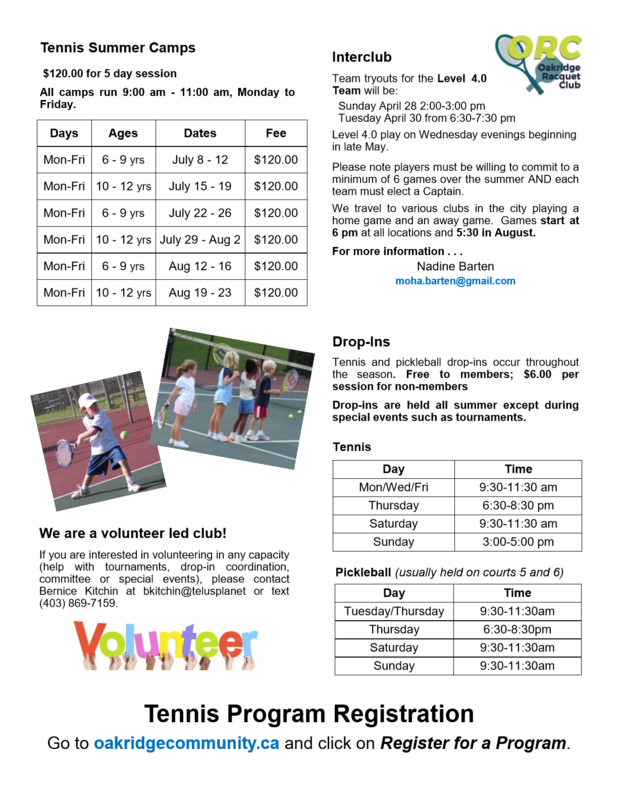 The summer tennis component is a major part of ORC. • Leagues, lessons, tournaments for all ages and levels. • Lessons and Summer Camps for kids. • Member and public drop-ins. Registration for 2019 summer programs—lessons, interclub and socials now available! 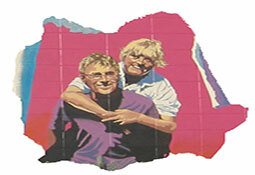 Schedules and details are posted and updated regularly on the booking website. Click here and follow the prompts. Please contact Sandy at the Community Centre office by e-mail or at 403-238-0007 for further inquiries. 1. Coordinating the drop in sessions. You don’t have to attend all sessions but find someone to be in charge. Previous years a drop-in coordinator proved very successful and many committee members will help you out by taking on some evenings. 2. One of the two tournaments. 3. Coordinating court and clubhouse maintenance.